In this era when everything seems to be digital, it would be strange if this wasn’t carried into the workplace. You could say it already is. We have PCs that are able to communicate with one another even if they aren’t in the same building. We have iPhones, smart phones and iPads where we can receive our emails and access the Internet even when we aren’t in the office. 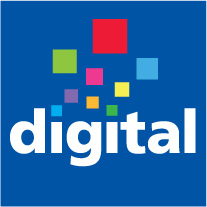 We are digital man! But what about other elements of your business or how you work? Do you still print off hard copies of documents? Do you still have a filing system that isn’t on the computer? Do you back up onto tapes or remotely? At DataSapce UK we can help you achieve some of these digital practices. You could say that DataSpace UK can take you into the 21st century with ease. If you would like to know more about the digital services we can offer, please give us a call on 0800 028 8956 to discuss. Keep a digital eye on us on Facebook and follow us on Twitter.